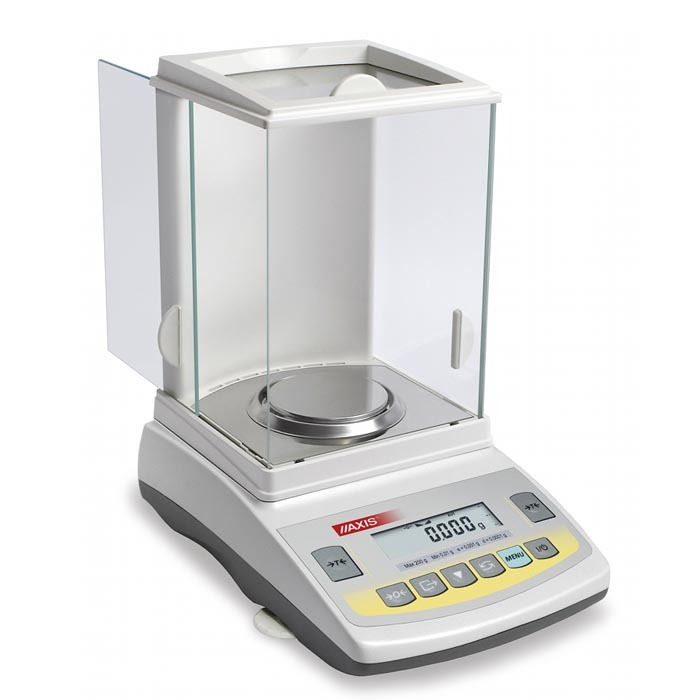 Popular analytical balances are one of the crucial balance equipment and are exclusively designed for the measurements of weight with extremely high accuracy or precision. Popular analytical balances manufactures by Axis comes with calibration system with internal weight, which guarantee maintaining of measurements accuracy during the measurement operations without any intervention by the user. Those balances are Spacious, closed with slide able three sided glass chamber provide easy, comfortable and proficient function in rooms, where removal of air movements are impossible. Bright LCD screen and balance keys standard set of guarantee proficient communication with balance in assortment of measurements and user complete set of extensive unique functions. These balances offer a wide range of user unique functions which are useful for frequently repeated measurement purposes. Standard RS232C connector provides the connectivity with printer or computer to print to print receipts and reports for weighing results statistical processes.